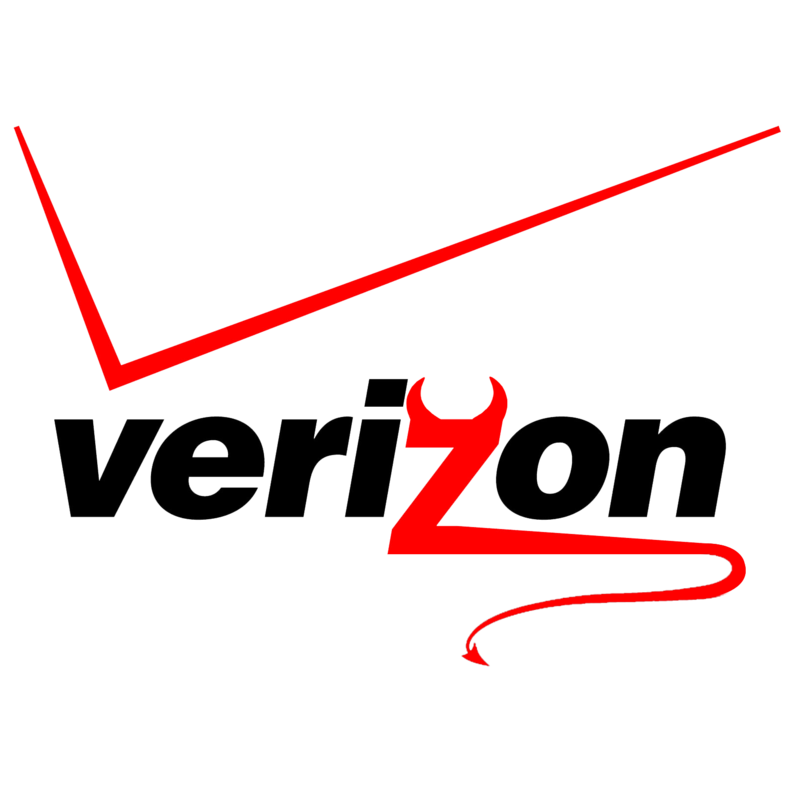 Black Friday is coming this Thursday, and Verizon has a number of deals aimed at enticing people in the market for a new phone. 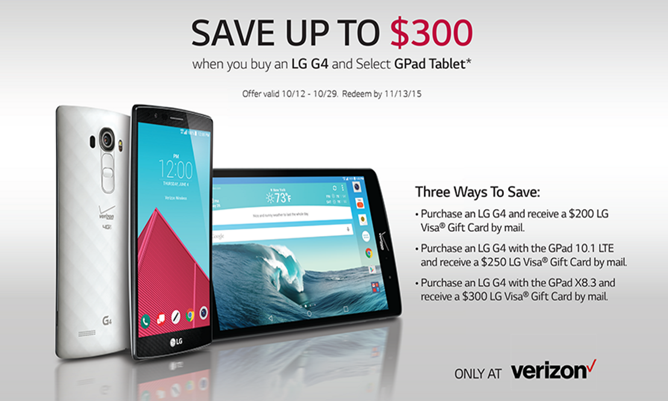 One is a $100 discount on phones priced at $400 or higher, which we've seen advertised alongside the LG V10. 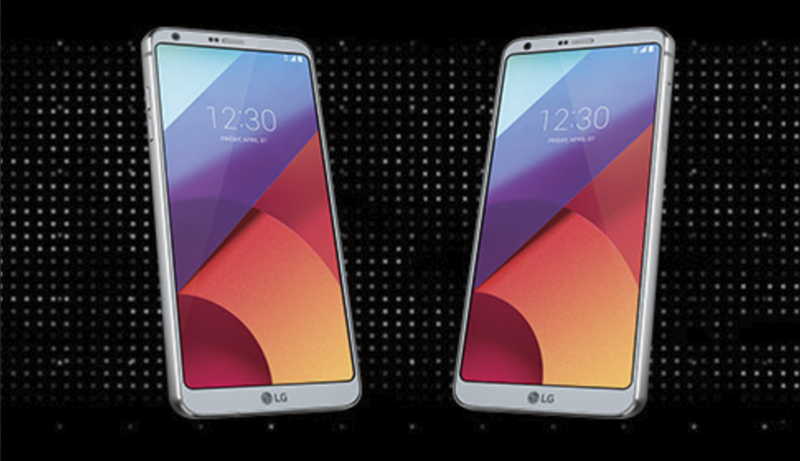 Now LG has an offer that sweetens the arrangement further. Note: this code doesn't seem to work if you buy the phone outright; you have to select the payment plan. 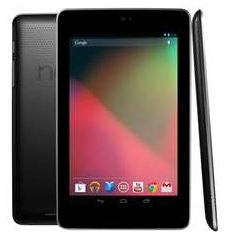 Newegg is offering up a pretty compelling deal on the Nexus 7 right now. Those interested in picking up a refurbished 16GB model can do so for about $103 (before tax) using VISA Checkout, after a $50 rebate. 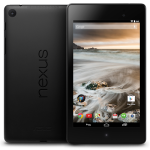 This deal is actually a combination of promotions from Newegg - the site is offering 10% off (up to $20) when users select VISA Checkout and use promo code VCO, and Newegg's listing for the refurbished 16GB Nexus 7 offers a $50 rebate (via prepaid card). For those unfamiliar, VISA Checkout is the credit card company's "easier way to pay online," offering checkout solutions for online sellers similar to those offered by Google Wallet or PayPal. In case we didn't make it clear with yesterday's post, we were more than a little miffed at Verizon's dismissal of Chromebook Pixel LTE owners. The company told customers that it had unceremoniously ended Google's free 100MB/month data bundle for the Pixel LTE after just one year, despite the initial two-year service promotion. Today Google is offering a consolation prize to those customers who bought the Chromebook Pixel LTE from the Play Store: a $150 refund credit. 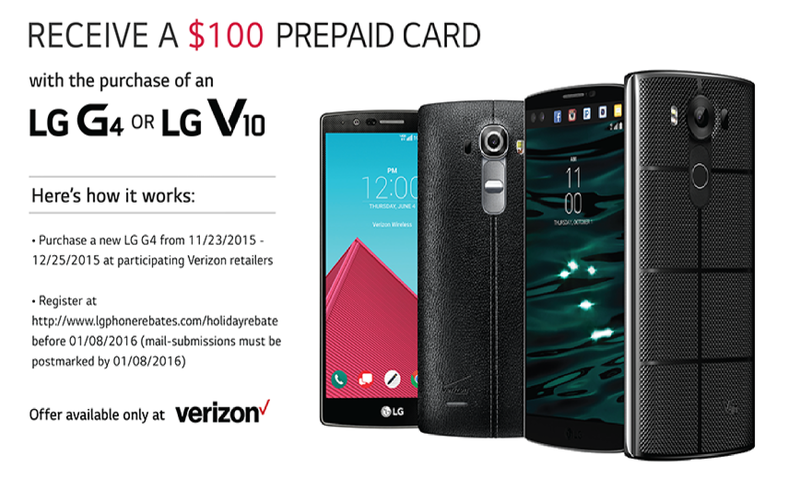 According to ComputerWorld's JR Raphael, who broke the original Verizon-Google story, Google will be sending $150 prepaid VISA cards to customers who bought the $1450 Pixel LTE while the promotion was still being advertised. The holiday season saw a ton of tablets dip below the coveted $100 mark, but there weren't many of them that were actually worth even that low price. But today you can pick up the 32GB version of the original Tegra-powered Nexus 7 from Newegg for a cool c-note... assuming you're OK with both a refurbished model and a rebate in the form of a $50 prepaid Visa card. That's still a pretty good deal if you're willing to jump through the hoops. 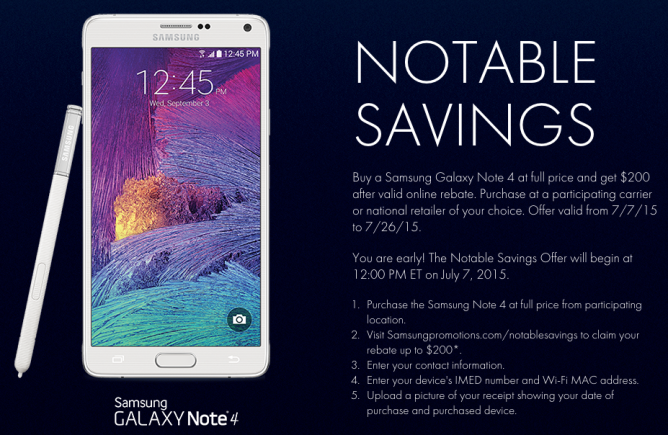 The going rate for a new 32GB model is $160. 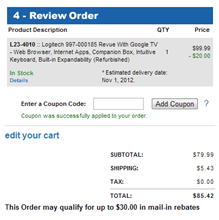 Unfortunately this is the old-fashioned mail-in rebate: you submit a code to a Newegg website, mail in your UPC, and receive a $50 Visa card in return. 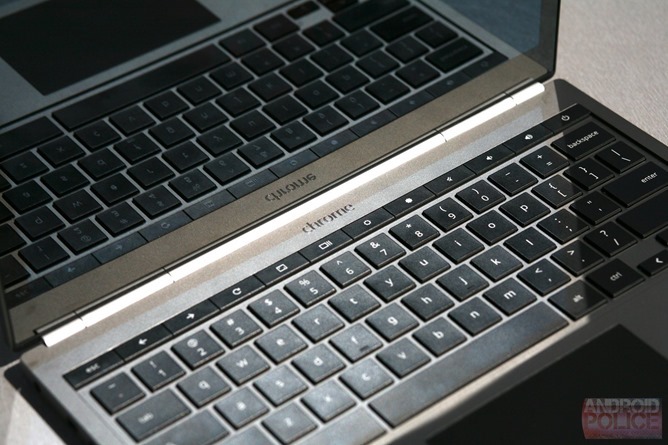 Looking for a high-res tablet, and don't mind getting a model that's a bit long in the tooth? Then you'll want to check out Tiger Direct's listing for the 32GB Asus Transformer Pad Infinity TF700. This 1920x1200 10" tablet is a pretty great deal at $279.99, assuming you're OK with a somewhat outdated Tegra 3 processor, a refurbished model, and a $50 mail-in rebate. Jeez, but I wish those things would die - the rebates, not the Tegra 3. The rebate is only valid for purchases made through tomorrow, and expires in sixty days - who knows when you'll get the prepaid debit card in the mail. If you're in the market for a Cricket Wireless phone, the carrier is offering some downright fantastic deals at the moment. 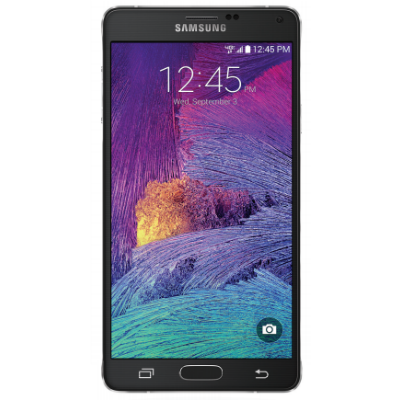 They're offering massive mail-in rebates of $200 off the Galaxy S4, Galaxy S III, and HTC One SV (in addition to their regular web discounts), delivered in the form of a Visa prepaid card. Thanks to a surprisingly low starting price, Samsung's Galaxy S4 is just $329.99 with the rebate - and that's not a contract price. 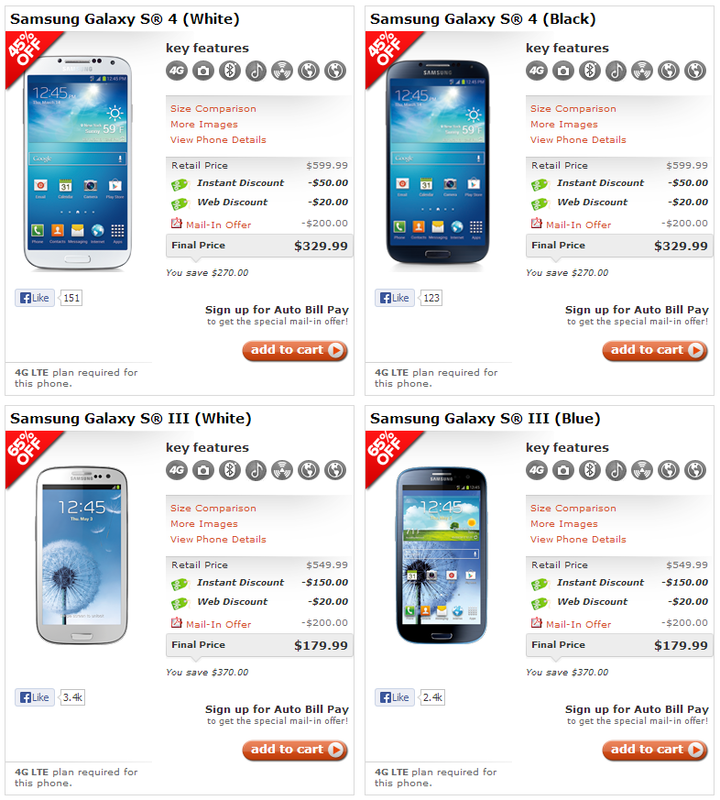 Cricket sells all its phones outright. These deals appear to be valid only for online orders from the Cricket website. The Galaxy S III is going for just $179.99 after the rebate, and the HTC One SV is $79.99, both good deals for phones that are still perfectly capable. 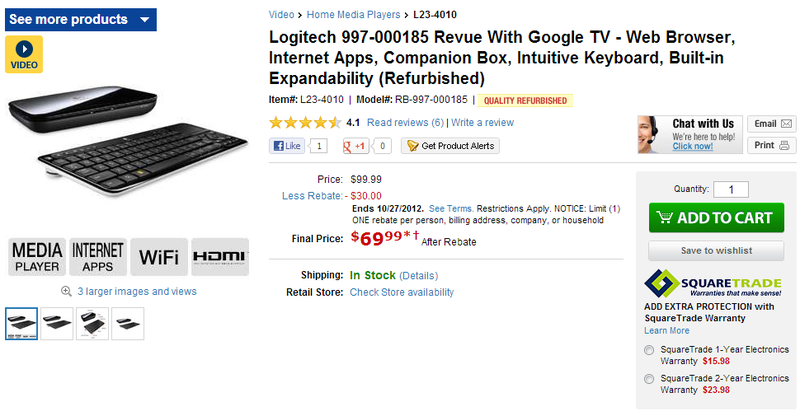 One of the most distinct disadvantages of Google TV is how expensive some of the boxes can be. 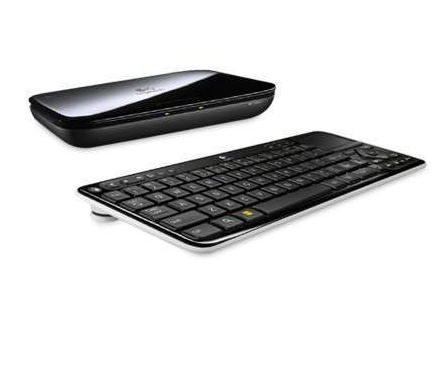 To that end, the Logitech Revue, one of the first devices to run the television-oriented platform, has served as a cheap entry-level set top box for the curious. Now, it's cheaper than ever. Normally $100, you can use a coupon code (TPF73771) to get $20 off a refurbished model up front, plus a $30 rebate to bring it down to a meager $50. Customers have until October 27th to order the Revue in order to qualify for the rebate. 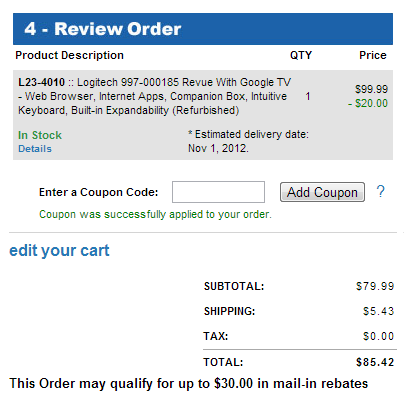 After purchase, you have 30 days to put the rebate in the mail.